ADI Plumbers are amongst the most highly qualified and trained in their profession in the United Kingdom and are now offering their service to the entire Essex area. Our plumbers don’t rely on guess work or force when it comes to fixing plumbing problems. Instead we use a combination of years of practical plumbing experience in addition to using the very latest in plumbing tools and technology to help diagnose and then fix your plumbing issue. A large part of what we do at ADI Plumbers is about our plumbing repair service but we also offer a service called power flushing (also known as jet flushing) which can help prolong the life of your home heating and plumbing. Our power flushing service uses equipment that forces a stream of treated water through your radiators or pipes to dislodge any dirt or grime that’s built up in there – including limescale. Fewer blockages means that your heating or water supply will work better and potentially last a lot longer than you expected it to. ADI Plumbing also offer a leak detection service where we use a wide range of ultra-modern leak detection equipment such as thermal imaging cameras, acoustic leak detectors, nitrogen hydrogen gas tracing systems and snake cameras for example. This level of technology allows our team to find the source of any internal or external leak without having to dig or drill any holes. 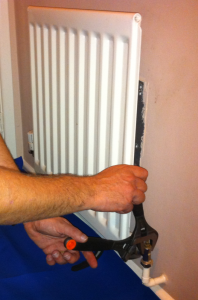 This means that we can find the leak without having to disturb your property at all. Why not call our customer service team now on 0800 731 3848 to find out more about how ADI can help you today?